The North-West University’s (NWU’s) Noble Boys are determined to bounce back from their first 2018 Varsity Football defeat when they play their second away game against Wits University on 23 August 2018 at Wits Stadium. They suffered their first loss of the 2018 tournament against the Tswane University of Technology (TUT) during a home game in the fourth round of Varsity Football. 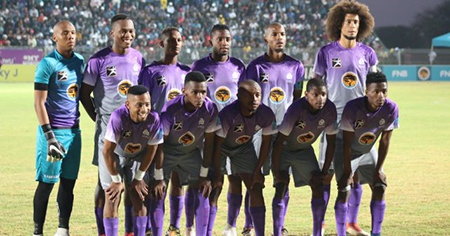 “The players played well in the game against TUT, I’m extremely proud of every player for giving their best,” said Vuyolwethu Sambo, manager of the NWU Soccer Institute. After four matches, the Noble Boys are currently in third position with nine points. They are only one point behind the two joint log leaders. The game against Wits will be played at Wits Stadium at 18:30. Our NWU Noble Boys are ready to take on Wits University.